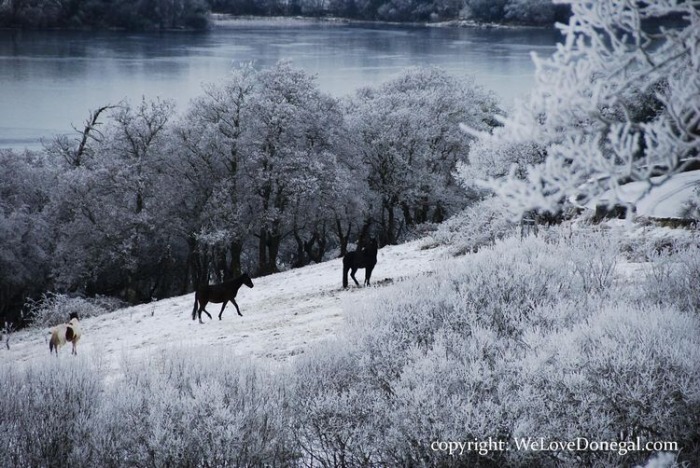 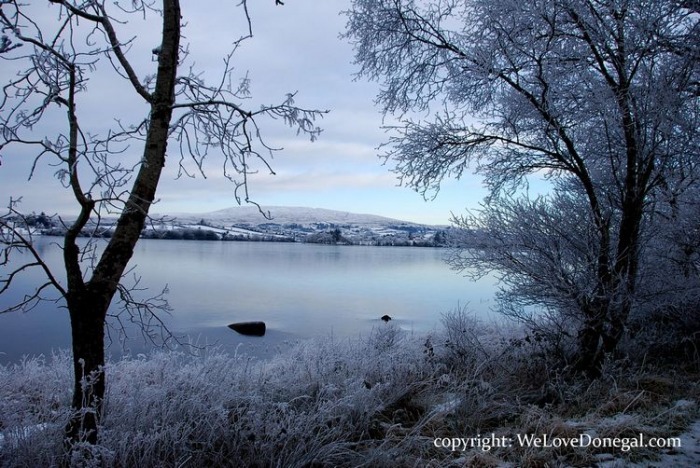 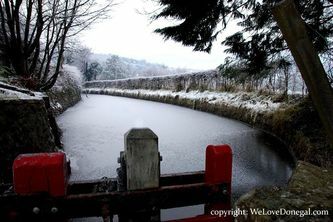 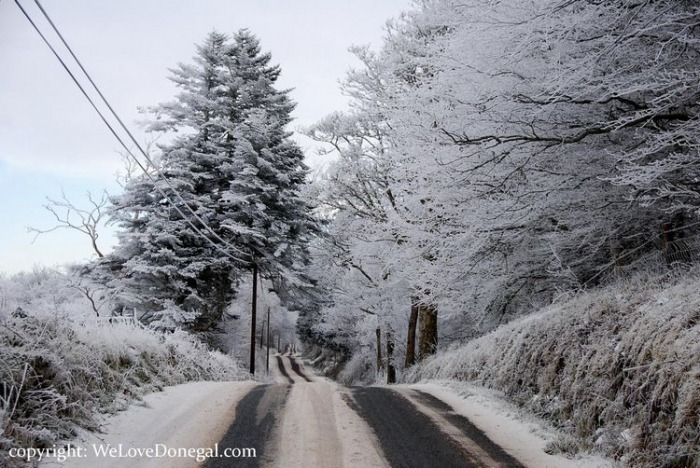 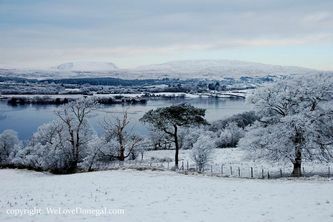 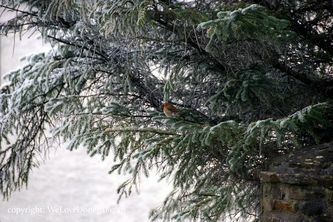 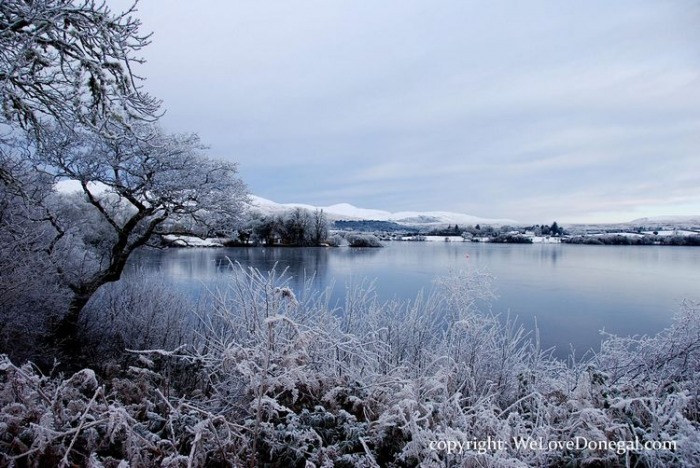 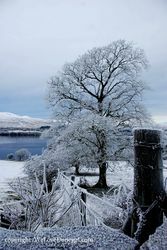 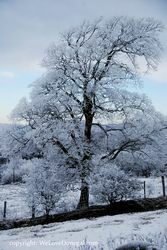 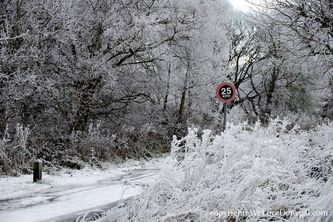 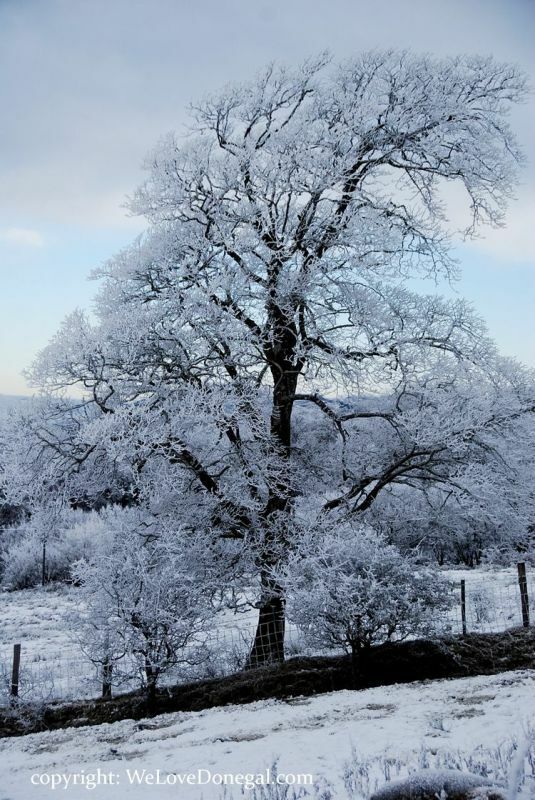 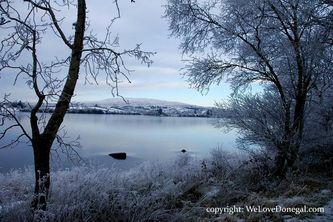 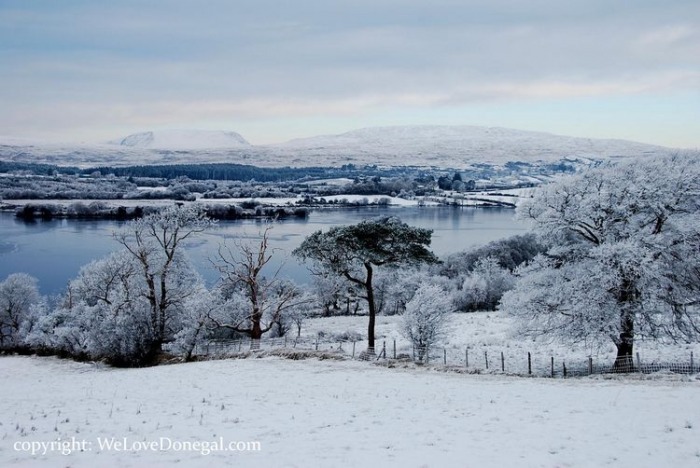 The photographs here were all taken on Christmas morning 2009 following the first real snow in Ireland in many years. 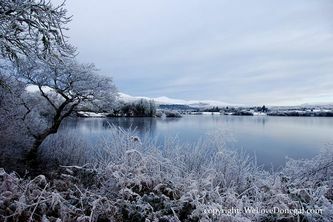 It was so cold ~ with temperatures dropping as low as minus 10 c ~ that most of our lakes in Donegal completely froze over like Gartan Lake in these photographs. 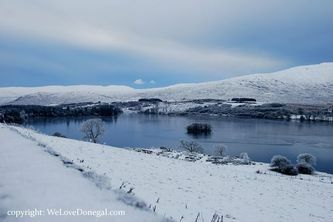 Even driving on the roads to get to Gartan that morning was scary as many of them hadn't been 'salted' and so were very slippy. Still, the danger aside, it was a worthwhile trip (or slip!) 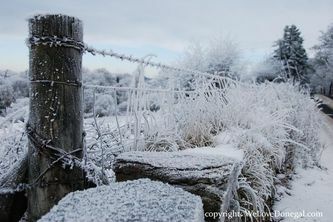 as the views were stunning with blue skies and frosty white landscapes all around.